If Ryan Tannehill is out for a while, here are five options to replace him as Dolphins quarterback. During practice on Thursday morning, Miami Dolphins quarterback Ryan Tannehill went down with a non-contact leg injury. James Walker of ESPN.com reported an awkward fall on his left leg, and Tannehill missed the end of last season with a sprained ACL and MCL in his left knee. He did not have surgery, but has been wearing a brace during training camp. Dolphins head coach Adam Gase did not speak to the media after Thursday’s practice, and frankly it’s too early for anyone to offer a definite update on Tannehill’s injury. Something may come later Thursday, but immediate reports from on-site at Miami’s practice don’t seem optimistic. Losing a starting quarterback is obviously never ideal, and the Dolphins are looking to keep momentum going after making the playoffs last year. 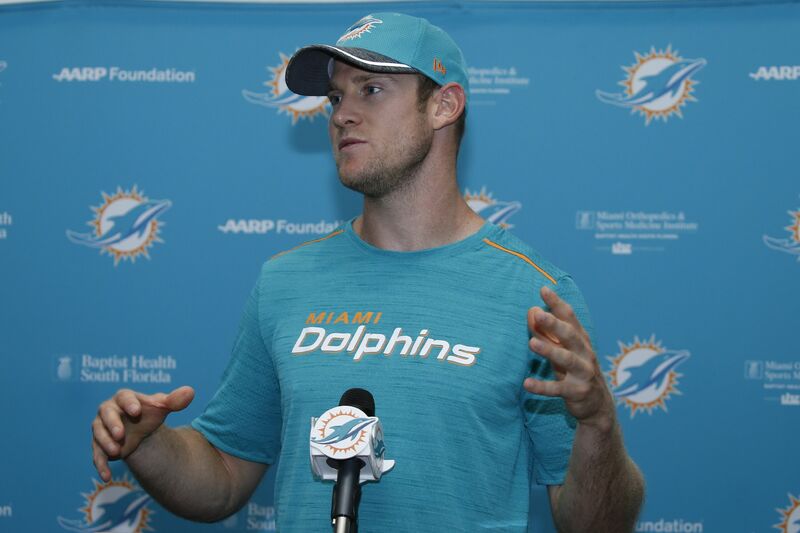 Tannehill has his flaws, but searching for a new quarterback in August is not ideal. Just ask the Minnesota Vikings, who lost Teddy Bridgewater in late August last year and had to give up a first-round draft pick to acquire Sam Bradford from the Eagles. But there are some interesting options out there, and here are five possible replacements for Tannehill if he is out long-term. Moore, the internal and perhaps most realistic option, belongs on this list. He was 2-1 in three regular season starts last year after Tannehill was injured, and he also started Miami’s playoff loss to the Steelers. Moore has been with the Dolphins since 2011, when he started 12 games. But he has been the definition of a career backup, with 30 pass attempts from 2012-15 as Tannehill’s backup and 25 of 28 career regular season starts coming in his first four NFL seasons. Moore could seamlessly step in and start for Tannehill, without having to start from square one in the current incarnation of Gase’s offenses. A simple shift in the depth chart won’t inspire excitement, but at this point knowing what you have could be all the Dolphins want.